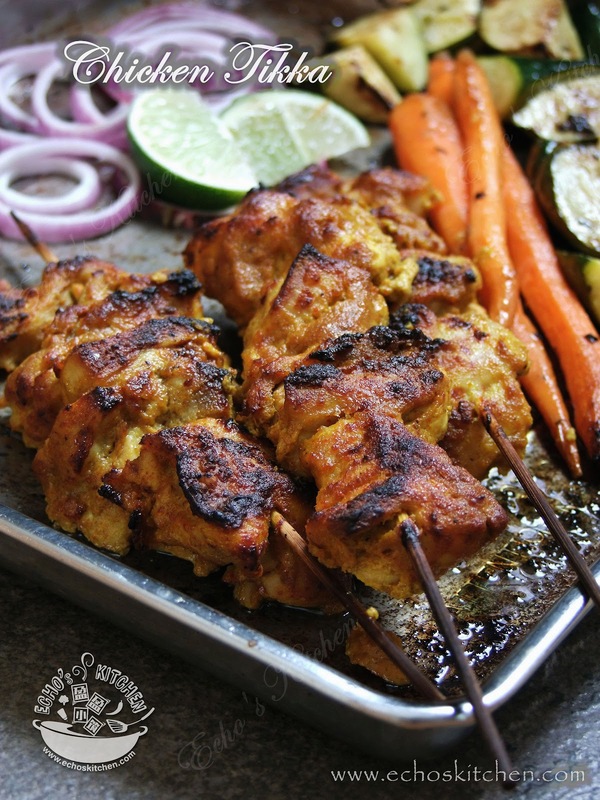 Chicken Tikka is my favourite dish to make for party, all I need to do is marinate the chicken day before, and put it into oven 45 minutes before my guest arrive, it spares me plenty of time to prepare other dishes during the party day. 1. 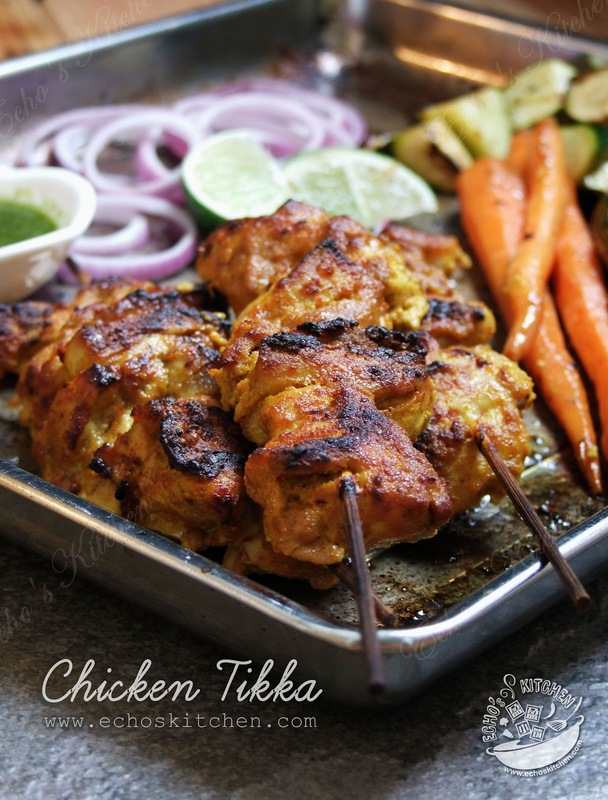 Clean and cut chicken pieces into bite size, mix with all ingredients stated under "for marination" and marinates for at least 5 hours or overnight. 2. 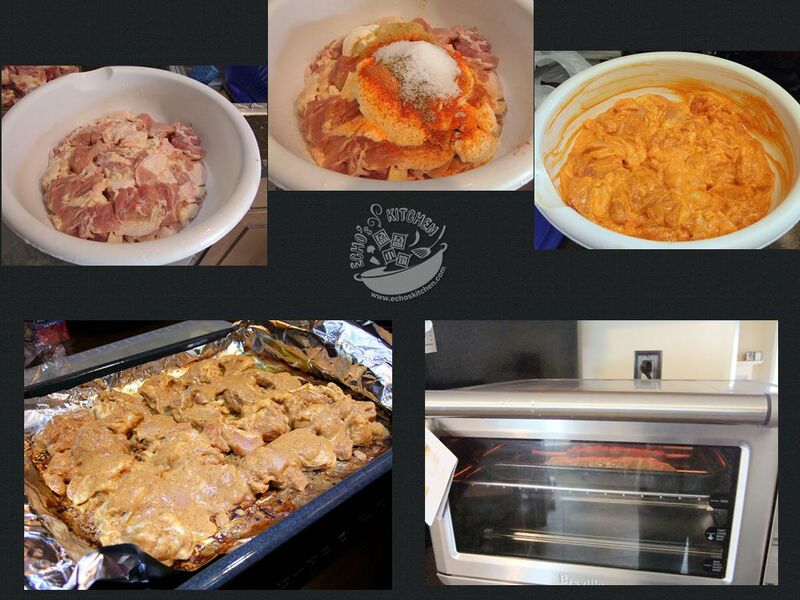 Grill/broil chicken pieces for 15-20 minutes on a greased baking pan with a thin layer of oil brush or spray over the chicken pieces. 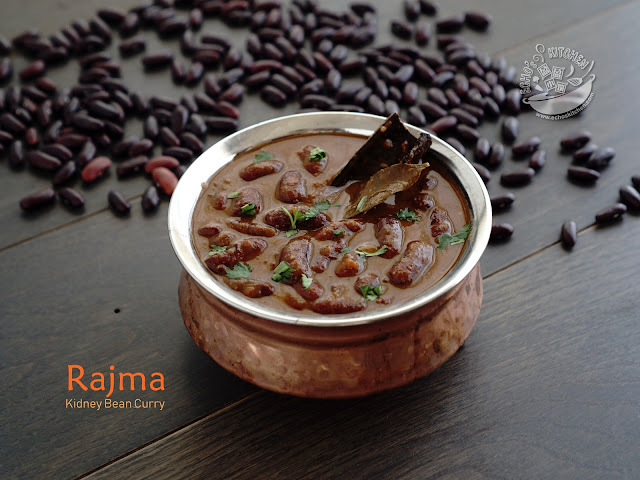 Serve with mint chutney and fresh lime, it is also perfect to go with beer! Hi, I followed the recipe without changes but it was too bland. 4 lbs of meat with 1 tbsp salt is not salty enough. Can you advise how to improve it? Reduce the meat? or increase the salt? Have you baked all of them?